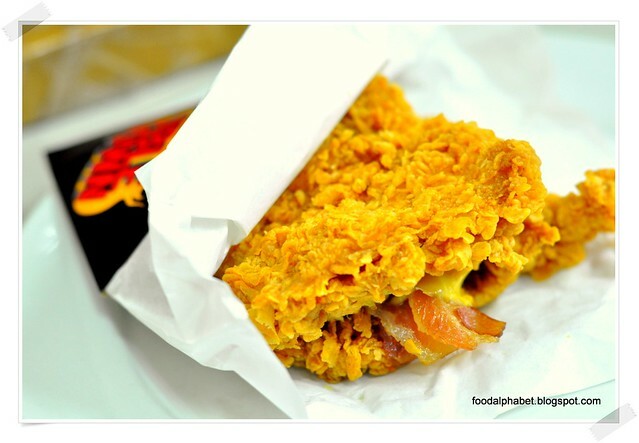 The Food Alphabet and More: KFC Zinger Double Down is gonna rock your world!! When my ordered sandwich came, it was really big, actually it was as big as my hand, literally! 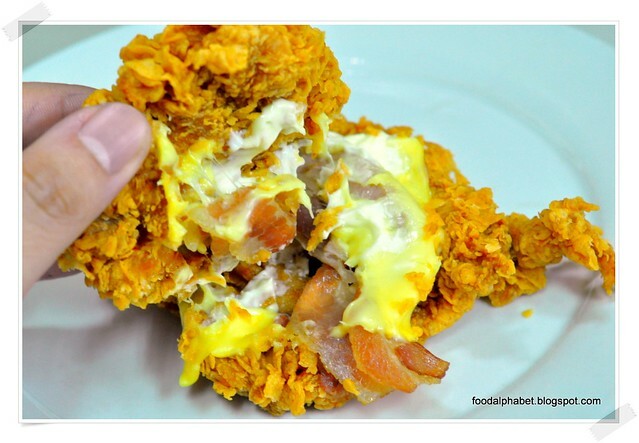 Smelling that ever familiar scent, I opened up my Zinger Double Down, and there upon me are 2 mighty Zinger patties sandwiching that ol' bacon and melting cheese with a tad of mayo. It may not look good on pictures, but it totally blows me away!! Just look at all that bacon and oohhhh melting cheese and yup the mayo packs a punch as well. 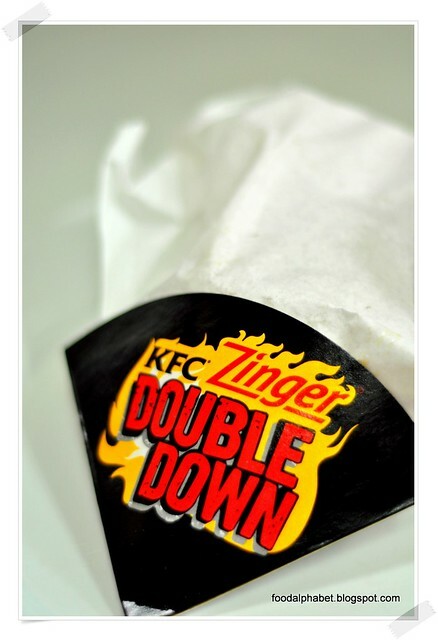 The birth of the Zinger Double Down is definitely a welcome sight to all Zinger lovers, double the fun I would say. As I munch through my sandwich, I can hear and taste the crisp Zinger fillet touching my lips, then the spiciness kicks in, then the cheese and bacon settles in, now I totally forgot where I was, and let my taste buds take control over me. It was one indeed for the books. Just great! now I can satisfy my craving for KFC's Zinger. 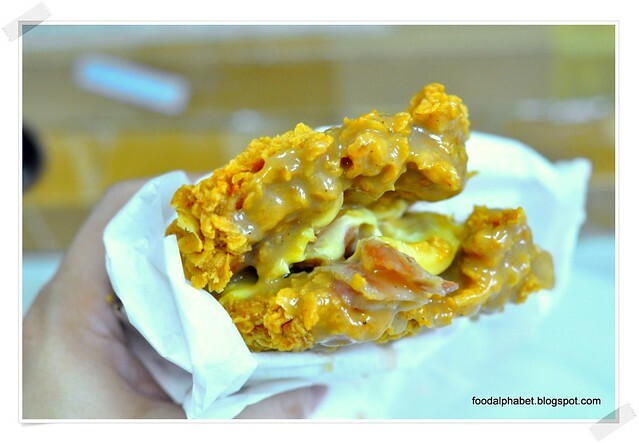 Ooohhh.. sinful, just the way I like to eat my KFC Zinger Double Down, smothered in KFC gravy, just like my Zinger. All I can say is this was more than what I was bargaining for and admitted after finishing my Zinger Double Down, I felt kinda dizzy, haha maybe I was too full. Enjoy the experience, enjoy the KFC Zinger Double Down. The KFC Zinger Double Down, is now available at all KFC outlets, Ala-carte at P120.00 and P150.00 for a meal with regular fries and regular drink.